Luckily Barcelona is a city that combines all the above. In the Catalonian capital you will find great food and many monuments, experience a vibrant atmosphere but also get to visit many museums. 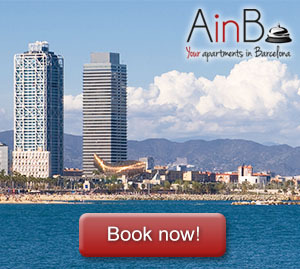 Barcelona and the surrounding metropolitan area is home to hundreds of museums, some more famous than others. For many people, when museums come to mind, they think of endless exhibits displayed one after the other, boring guides and signs with incomprehensible writing. But as technology is progressing and many innovations become available and affect many areas of our everyday life, sooner or later these novelties are bound to enter our museums. More specifically, one example of this is that of augmented and virtual reality, innovations that are already part of the technological world. If those technologies become affordable and enter the museum that, we believe, will constitute both a blessing and a curse. Why should anyone want to visit a museum when they could simply browse the Internet or put on a VR headset and view and touch all those sights from the comfort of their home? This is a pressing question that every museum sooner or later will have to answer and find clever and smart ways and solutions to attract visitors. One great example of that is the CosmoCaixa science museum in Barcelona. Located a bit outside the city (not so far if you get an apartment in Francesc Macià), it stimulates people’s knowledge through various exhibitions and a wide variety of interactive activities. People can visit the Flooded Forest, a recreation of the Amazonian rainforest ecosystem along with the Geological Wall that illustrates the different geological structures of our planet. Another great example of a modern museum that belongs to the future is that of the FC Barcelona Museum. The football club collaborated with a famous messaging app presenting an augmented reality product. Visitors use Viber to film themselves in a press conference and they can feel exactly what a first time player for the team feels when it signs for Barcelona. Those videos, then, visitors can post and share on their social media platforms. Lastly, one of the museums that incorporates the past, the present and the future within its walls is that of the Barcelona City History Museum. In addition to those, Barcelona still has many museums that are stuck to the old, redundant model. Many though are striving to incorporate new and modern elements that can transform the experience a visitor can have at their site. Interactive games, puzzles or quizzes, the use of film, video or even virtual reality along with traditional methods guarantees a pleasant and fulfilling experience for everyone.